I'd like to open by thanking my opponent for engaging with me on this debate. The resolution is a topical one, that the Queen of England should resign. Naturally as a proud royalist, I will be arguing the affirmative. Her own health and well being. The Kingdom needs a firm hand. Charles would benefit from having a living predecessor. I will obviously elaborate on these reasons as this debate goes forward for that, best beloved, is how debates work. Queen of England - shall refer to her Majesty, Queen Elizabeth II. Should resign - Voluntarily abdicate her throne. It is also important to note that no time frame is implicit in the resolution. We will therefore define this as, "at the earliest convenient time" but note that this must take place BEFORE her death. Finally, the resolution leaves one other element slightly open to interpretation - we will be arguing what we believe is implied; that Queen Elizabeth will be handing the crown to Prince Charles rather than dissolving the Monarchy altogether. The resolution therefore suggests that Queen Elizabeth II should abdicate her ENGLISH throne, at her earliest convenience but BEFORE her death, and pass it on to her son, Charles. The picture on the left is Queen Elizabeth, 27, at her official coronation in 1953. The picture on the right is Queen Elizabeth, now aged 88, earlier this year, 2014. This picture was collected from an article explaining that she had just had to cancel a scheduled royal engagement to Wales due to sickness. The same article mentions several similar engagements in recent times that she has had to pull out of due to ill health. In most of the countries she reigns over, the retirement age is 65. This age has been determined, in part because it has been deemed by society that there is an age where, for health reasons people should not be forced to work any more. The Queen is well past that age, despite having one of the most stressful jobs in the world. She is well within her rights to retire and spend more time with her family. The Queen's own website details a "typical" working day. It is so long that they split it into three separate sections. You can see them all here. In any given day she has letters to read and respond to, important government policy which must be personally read, (remember she is Queen of 44 separate realms! ), private meetings, around 430 public engagements per year, which often involve long periods of standing and walking and formal diplomatic receptions -both hosting and attending. On top of all of that she has many, MANY hours of arduous travel as well. All of this would be a heavy work load for a fit young person, but for someone almost 25 years PAST the retirement age?! The Queen should resign: BECAUSE SHE CAN! Despite the fact that as a young 21 year old, she stated that being Queen was a job for life - Queen Elizabeth actually has a lot of precedent for stepping down voluntarily from the role. In the last year alone, the aging monarchs of Holland, Belgium and Spain have all passed the throne on to their descendants. King Edward VIII abdicated the British throne in 1936, and all the necessary paperwork was drawn up then - so we know it can be done. The Queen has every right to retire, and has certainly worked hard enough to deserve it. She has given so much to her subjects and now that the Great Grandkids are starting to flow, she should retire and enjoy the time she has left. She has a lot of personal hobbies and interests and now that her health is declining, she is having to set those aside so that she can concentrate on the tasks her role calls her to perform. That's sad and especially so when there is no need for it to happen. She should retire. The Queen should resign: BECAUSE THE KINGDOM NEEDS A FIRM HAND! The SPIRIT of what, then 21 year old, Princess Elizabeth said was correct. When she said the role was a role for life, she was saying that the role was bigger than one person. And it is. Being the Monarch of England - not to mention the other realms is a huge responsibility. As one of millions of her subjects, I can personally attest to the fact that having a sense that there is a firm hand on the wheel is hugely important. As she gets older and is less and less able to perform her Queenly duties, that sense starts to fade. As that sense starts to fade, talk of Republicanism starts to creep in and dissension fills the ranks. The kingdom may begin to break apart. Most recently Scotland narrowly avoided a majority vote on their referendum to split from the rest of the United Kingdom. This could have had disastrous effect to England as much of the wealth of the UK is centred in Scotland's Oil Fields. Many will say that had the Queen been 30 years younger, that unrest could have been quelled quickly and simply. Queen Elizabeth II of England is also Queen Elizabeth I of Scotland. If she had been younger the people may have looked to her for guidance and she could have been more active in seeking peaceful resolution. These digital times are presenting the royal family with a whole lot of never before seen challenges - and it is my contention that the time is right for the Queen to pass the crown to one who has more time and energy to address them. Queen Elizabeth is one of the most loved British Monarchs of all time. She is highly regarded by all her contemporaries and history will record that she was an excellent queen. Charles on the other hand has the potential to be a bit of a flop. This is by no means HIS fault, as he is also highly regarded by his contemporaries. It is merely an inevitable outcome in the modern age where all the attention is already focused on a young and vibrant Prince Edward. Nobody seems to have noticed Edward's massive bald spot and the media wants to paint him as being the young King in waiting that Disney promises us. Kings aren't supposed to have bad teeth and big ears like Charles! When Charles DOES take the throne, it would be a HUGE endorsement if Queen Elizabeth actually hands it to him. She will be transferring some of her mana to him by doing this and the people will respect that. Charles will be accepted long enough for people to see that he deserves to be King on his own merits as well. I do not believe it is any exaggeration to say that this single act would be one of the greatest things Queen Elizabeth could do for England, not to mention for her son. For this and all of these reasons, I believe that Queen Elizabeth SHOULD retire. Thank you and vote PRO! I thank nzlockie for this debate. I will now present my case. The question in today's debate is a question of whether or not the Queen should resign as the Queen of England. What this question really calls upon us to consider is whether there is a good reason for the Queen to step down--if there isn't, then she should not abdicate. Perhaps the people calling most vociferously for her abdication are those who see her age as an impediment. But, the Queen has recently reshuffled Palace organization to more effectively delegate authority to royals such as Prince Charles (and Camilla) and Prince William (and Kate). "These recent changes in the palace are being interpreted by many as an effective 'job-share' of the monarchy as the Queen grows old." This serves three purposes: (1) it allows the Queen to remain the Monarch without having the encumbrances of many of the duties her job entails, (2) it helps to train up heirs to the throne without putting the pressure of actually being King on them, and (3) it allows England to keep its much-loved Sovereign as Queen. In fact, as recently as 2012, the Queen was enjoying record support. If, through this method of devolving responsibilities to future heirs, the Queen can avoid overtaxing herself, she should be able to continue in her position despite her advanced years. The issue here is that, should Charles becoming the Queen's successor, the institution of the Crown could be weakened. The situation is best described in the following passage: "Palace strategists, including the royals themselves, believe the best way to sustain Britain’s monarchy is through a process of constant, near imperceptible adaptation. And for years, those strategists have been plotting how to apply those techniques of change management to the biggest change the palace hopes to weather: the succession...Polls in the U.K. have consistently shown deep and steady support for the monarchy headed by Elizabeth II. The results have proved more ambiguous when Britons are asked how they feel about King Charles. Republican movements in the U.K. and in the 15 Commonwealth realms for which the Queen serves as head of state have resigned themselves to making only limited progress during her lifetime. They are looking to her departure to boost their cause substantially, maybe to even bring the Windsor reign to a close and sever Commonwealth ties to the crown. But if the Palace strategists prevail, she will not go suddenly, but in increments, and Charles will have his feet well under the desk by the time that happens." Surely, these strategists are best positioned or, at least, better positioned to make calls like this than either myself or my opponent. The need then for a seamless transition requires that the Queen not abdicate. Finally, the Queen has described her role as a job for life--Pro agrees with this. Would it not be a reversion for her to step down now, when she can still continue to do the job? If one makes a commitment and if one is able to keep it, one ought to do so. Therefore, the Queen should not abdicate. I turn the floor over to Pro. nzlockie: Thanks for your round! Since it's a point we both brought up, I'd like question you on the Queen's succession plan. Do you agree that Charles' "right to reign" would be given a significant boost with the Queen's personal endorsement? nzlockie: And that that endorsement would all the more meaningful if she were still alive for the handover? bsh1: No, I don't agree agree with that actually. I would argue that it's fairly clear already, esp. given the Queen's devolution of more authority to Charles, that she would endorse his succession to the throne. I don't think an explicit endorsement on her part would have much, if any, impact. bsh1: Please explain and expound on what you mean by the UK needing a "Firm Hand." nzlockie: Sure. one of the hallmarks of great leadership is confidence. Having confidence inspires confidence. "A firm hand" refers to the idea that the monarchy is confident, aware, capable of seeing, identifying and negotiating any obstacles that may arise. nzlockie: It's worth noting that there is a point where farming out responsibilities stops looking like good delegation and starts to look like a lack of ability of handle them yourself. nzlockie: Regarding endorsements, that actually DOES support my point. 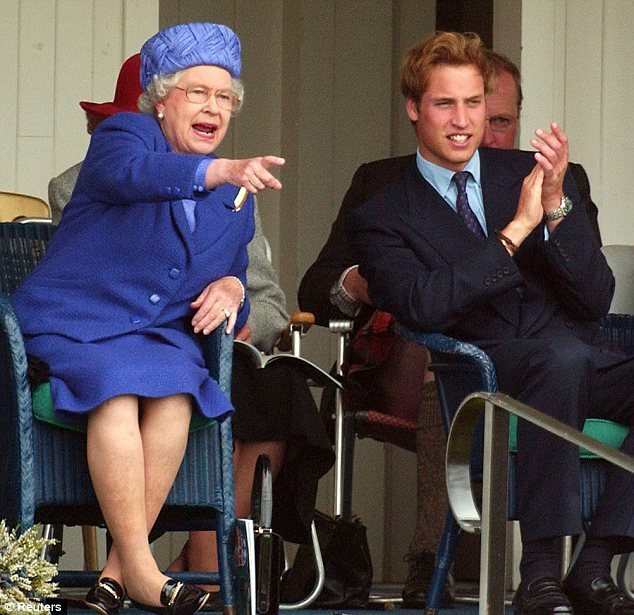 The Queen has already signaled her endorsement of Charles, while she is alive. Logic dictates that her, literally and figuratively, standing behind Charles as he becomes King would send a final clear message that this was her last wish as Queen. nzlockie: As we have both agreed, support for Charles' kingship is weak. For the final time, is it your position that having the Queen break with tradition and pass the throne to him while still alive would have NO GREATER IMPACT than having him ascend the throne automatically following her death? I thank my opponent for his previous round. He brings up an excellent point; there should be a good reason for the Queen to resign. Fortunately for my side - there is! In fact in my previous round I brought up four excellent reasons. I believe that all four of these reasons still stand uncontested - in fact it is my belief that my opponent has actually strengthened these points. Unnecessary but welcome all the same. In this round I will elaborate on these reasons and show you how my opponent's points actually support the notion that the Queen of England should resign. The Queen's health is deteriorating. This is due to the fact that she is now 88 years of age, making her, officially, the oldest English Monarch in history. The enormous amount of work her office entails will surely place far more stress and strain on her than would be the case if she stepped down from the throne. Stress and strain has been proven to lower one's immune system which in turn makes her more prone to catching various illnesses. At her age, even the common cold can be deadly. My opponent has not contested the idea that this job could literally be the death of her. As her majesty ages and the tolls of all this work become more and more evident, she starts to fail the most fundamental role she is there to perform - namely, to give her subjects a strong head of state to look to for leadership. This is important in any age, and the current era we find ourselves in is no different. This monarchy needs to make itself relevant to young Britons, it needs to maintain a reassuring air of confidence to satisfy old Britons, it needs to have an increased physical presence in the further flung realms. All of these things maintain unity and inspire confidence, and this is hard to do when you look weak. How do my opponent's points support this notion? My opponent correctly points out that the Palace, (and indeed, the Queen herself) has met this new challenge by delegating much of her active role to other members of the Royal family. In fact this delegation has gone beyond mere farming out jobs, and into an officially recognised shift of responsibility, mostly to Prince Charles. My opponent correctly points out that this is a calculated shift and that the Queen is already starting the gradual process of a transfer of power. All of this serves to reinforce and support my contention. It proves that the Queen is not physically able to fulfill her duties. This IS a sign of weakness and rather than instill a sense of confidence in her subjects, it does the complete opposite. The Queen is my head of state and yet I must look to the Prince for leadership? If the Queen were to formally abdicate the throne to Prince Charles, the head of state would be strengthened. If my first arguments say that the Queen should retire for HER sake, my second arguments say that she should retire for OUR sake. Prince Charles is definitely the most qualified to lead us after the Queen has abdicated her throne. After being groomed for the role for 65 years now, he has experience and wisdom beyond that of his son, William. Although polls of the people may indicate their preference for the "dashing young prince William" to become King, I would argue that this is largely down to people's misconception of the role of a King and has little bearing on Charles' ability to perform the job. But regardless, this is largely academic as the Queen herself has already subtly influenced the decision based on the job sharing she has done to date. My opponent agrees with me that the public show less confidence in Charles as being an able monarch. He agrees with me that the Queen has already subtly endorsed Charles as her preferred successor, by shifting more official responsibility to him. It is my contention that her voluntarily abdicating the throne in favour of Prince Charles would be the logical final step in that subtle shift. My contention would be that that would have HUGE impact in terms of getting the people on side. Everybody respects the Queen. She has been hugely successful in her reign and has seen us through many challenges. If she were to abdicate WHILE she were alive, she is effectively saying, "I deem Prince Charles a more worthy monarch for England than I." This would speak volumes, and if any detractors dared protest, she would be available to answer them directly. Contrast this with her dying as monarch. Charles would more than likely succeed her because Parliment knows that the Palace has already been working in that direction. But the difference would be felt at the ground level. Based on my opponent's numbers, almost 60% of Britons would be heading into a period where they would feel that the crown is sitting on the wrong head. Worrying. If Parliment elects to crown Prince William instead, almost 50% of Britons would be thinking the crown is on the wrong head! Still worrying! What the subjects NEED is a clear and unequivocal message from her Majesty. Abdicating the throne while she is still alive sends that message. Finally, I'd like to remind the judges - and my opponent; the Queen has earned the right to retire. Precedent has been set, both in England and abroad. She meets every criteria for when a person should retire - she is financially secure and her age is starting to affect her ability to perform her role. Despite what a young Princess Elizabeth said when she was 21 and before she'd ever worn the crown, a Monarchy does not HAVE to be for life. What it should be is a job performed to the highest standard. There is no shame in her admitting that she can no longer perform the role to this standard. The greater shame would be staying in the role to the detriment of the kingdom, purely for pride or for a misguided sense of protocol. Queen Elizabeth has loved and served her country for too long to leave her final legacy as being a kingdom divided. She should retire. Vote PRO - Give the old girl a chance to watch more sport with the Grandies. Nzlockie spends much of his time discussing the Queen's health and ability to rule. Firstly, it would pay to remind readers that the Queen holds a purely ceremonial and purely advisory role. There is not the same need for her to have a firm hand as their is the Prime Minister, as she is not the one actually making government decisions. She is not actually ruling. Moreover, since the Queen is forbidden from expressing political opinions, it is ridiculous to suggest, as nzlockie does, that Britons look to the Queen to be a "strong head of state to look to for leadership." She is not providing political leadership, but is rather a figurehead. Even if nzlockie is referring to some other type of leadership, the Queen has not failed to be an example of moral conduct, and leads by example every day. Moreover, he suggest the Queen's health is failing and that a cold could kill her at her age. The queen had not been to the hospital in more than 10 years before her most recent visit, and one bout of gastroenteritis is hardly enough to suggest a trend of ill-health or that her health is somehow in decline. Really, Pro's evidence here is just sparse. He cites one member of the Privy Council who is not, pun intended, even privy to the Queen's medical information, and so he is in no position to make an informed comment. Unless Pro can definitively warrant his argument that the Queen is in ill-health or is too sickly to perform her duties, we ought not to buy into this argument. I do not deny that the Queen is aging and that the process of aging requires rolling back some responsibilities, but that does not mean that she ought to abdicate or resign. If she can remain Queen while delegating some powers, then why not? It does not prove, as nzlockie strawmans it to say, that the Queen is "not physically able to fulfill her duties." All it implies is that the Queen, realizing that she won't live forever, is making arrangements for the inevitability of her death. It does not mean that the Queen is unable to fulfill her responsibilities now. Perhaps she simply prefers to live a more relaxed life as she ages--again, this doesn't mean she's incapable of performing her duties, just that she chooses to delegate some. Just because the Queen can do X doesn't mean she should do X. This is an example of the is/ought fallacy, and should be summarily rejected as such. Finally, regarding the living predecessor argument, there would be discontent if Charles succeeded to the throne. As Pro said in cross-ex: "The Queen has already signaled her endorsement of Charles, while she is alive." Yet, Britons still prefer William. It makes sense that the Queen not resign until Charles has been more firmly entrenched and his reputation has been rehabilitated to make him more preferable to the British people. I apologize for the brevity of this round--I was in a bit of a rush. nzlockie: Hi! Thanks for your round, I thought we'd lost you there for a minute! nzlockie: In your last round, you mentioned one solitary bout of sickness. My initial article, which was over a year old, stated TWO cases in the last six months where the Queen had had to miss engagements due to sickness. The same article also specifically mentions Prince Philip suffering a serious bladder infection almost certainly caused directly due to attending the Diamond Jubilee. Age is directly cited as a factor. nzlockie: Do you agree that at 88, the likelihood of her becoming sick is increased, and the implications of such a sickness more serious than if she were younger? Obviously I COULD bring evidence to this effect but I feel like it is not really required. nzlockie: I can tell you're totally loving this cross examination business. As we enter into the final round, I'd like to thank my opponent for the last time for the spirited debate. As is customary, I will be using this round to sum up my case and show once and for all that for good of herself, for the good of her family and perhaps most of all, for the good of the realm, the Queen of England should retire. In my first round I submitted a source which showed that the Queen's health is affecting her ability to perform her duties. My opponent has incorrectly claimed that this was a one time event. My source material actually paints a rather different picture. This was actually the second time in six months that the Queen has had to cancel engagements due to ill health. I'd also like to point out that the Queen takes her job rather seriously and is not exactly prone to cancelling appointments because she's feeling a little under the weather. In 2011, she was the first British Monarch to visit Ireland in a hundred years, despite numerous death threats, and at least two confirmed bomb threats. This was in the face of the leader of Sinn Fein, Gerry Adams, saying that he did not "think this was the right time for the English Queen to visit." Her strength is as legendary as her devotion to the job, which is why the fact that declining health is seeing her start to miss engagements sends such a concerning message to her people. My opponent failed to answer my question posed to him in CX. I'm going to proceed on the understanding that nobody questions that elderly people are MORE prone to infection and injury, both physical and mental. But just in case, here's a piece from the National Institute of Health in terms of what to expect when you age. Excuse me? Oh no you did NOT go there! The Queen is HUGELY important to her subjects. She is, quite literally, an institution. Political parties and Prime Ministers come and go, but the British Monarchy provides a single thread which links us all. Tory and Conservative, Scots and English... even New Zealand and, shudder, Australia. As both Head of State and Head of the Church she fulfills many specific roles, and yes, many of those are political in nature*; but to be honest, perhaps her most significant and important role is simply to be. It is critical that the judges reading this debate appreciate that Queen Elizabeth II is merely one part of the greater whole that is the British Monarchy. She herself appreciates this fact more than we do I think. The Monarchy is a great symbol of unity that has prevailed through centuries of tragedy and triumph. Given the potential discontent should the Queen die in the throne and Parliament be forced to choose between Charles or William, I'm sure that even she sees that having a succession happen while she is still alive is hugely significant. The very source my opponent sites in his last round is entitled, "God save the Queen: A Canadian reflects on why the Monarchy still matters." Odd choice given the context of when he cites it. Since I've literally used every other argument he's brought up for my side, I'll happily use this one too. *Briefly, the British Monarch still holds the power to call and dissolve Parliament. Doesn't happen very often but check out King Charles I to see what happens when they enact it. They also hold the legal right to veto any law Parliament seeks to pass. Finally, the Monarch meets and advises each Prime Minister on a very regular and completely off the record private basis. Given that the Monarch has all that family history to draw on, and all that life experience and coupled with the burden they carry to care for their subjects, their counsel should not be and is not taken lightly. The final point I'd like to address is the accusation of an Is/Ought fallacy. My opponent is claiming that because I said she CAN retire, she SHOULD retire - I'm implying that one MUST follow the other, as if it were some natural order. If you read the context of what I said, you'll see that simply is not true. I was speaking forcefully to indicate how strongly I feel that this dear old lady has earned the right to have some knitting time. But for his sake, let me rephrase. P1: The Queen CAN retire. P2: The Queen has enough money. P3: The Queen has worked very hard in her job, 24/7 for nearly 65 years. P4: The Queen has a lot of hobbies that she would enjoy devoting more time to. P5: The Queen has family including Grandkids and a new Great Grandkid - which she'd love to spend more time with. P6: The Queen's health is affecting her ability to do her job. P7: The Queen's health is being and/or is increasingly likely to be affected by her job. P8: We all say stuff when we're 21 that we regret saying when we're 88. C1: The Queen SHOULD retire. Hopefully you can see now that given the weight of evidence, this house is stating an opinion that Queen Elizabeth SHOULD retire. We have made it VERY clear that this will be a voluntary abdication on her part. Nobody is suggesting that she has no choice in the matter. QUEEN: "Affirmative team for Edeb8, I'm tossing up my options for the future. What do you think I should do?" AFF TEAM: "Your Majesty, we think you should take the rest of your life off and retire to New Zealand." Judges, I feel I have won this debate for the simple reason that I have met my burden of proof. Her own health and well being. - She's not getting any younger! Because she can. - Precedent has been set already! She is entitled. This point proves that the resolution is legally possible. The Kingdom needs a firm hand. - And for the first time in 65 years, she might not be the right person for the job! Charles would benefit from having a living predecessor. - Her last selfless act to ensure the most peaceful and unified transition possible. The first two reasons show why she should retire for her own sake, while the second two reasons show why she should retire for the Kingdom's sake. In my second round I linked these reasons together and strengthened them, and showed definitively that my opponent's rebuttal points actually SUPPORTED my motion, rather than contested it! In his last round my opponent does not contest any of this. He spends the bulk of his last round misquoting my evidence in regards to the Queen's health, (only ONE of four points!) before acknowledging that frailty is indeed a symptom of age and that the Queen IS getting older! He suggests a gradual shift in power from the Queen to Charles. Good! We agree! The contention is not that the responsibilities should shift. They HAVE to shift. Her health dictates that. Our chief contention is that the time is soon, as in, within the next 5 years, where it will be the optimal time to finally officially abdicate the throne and anoint a successor, Prince Charles. Making this final act would be a dramatic shift from tradition, but as my final two points state and as HIS polls support; such a shift is needed. Judges, I have the utmost respect for my opponent, but in this debate he has failed to solidly rebut my points. Instead he has chipped away at the edges. The net effect has actually been supporting and strengthening my argument. He had ample opportunity to challenge all of my arguments but instead concentrated the bulk of his attack on only one of them. He was largely absent during cross examination, missing another opportunity to attack. His sole argument in favour of forcing Queen Elizabeth to literally work herself to death was because, at the tender age of 21, six years before she would even ascend the throne, she had said she thought that that was what one ought to do when one was a Monarch. I hope that I am not forced to live out the idealistic musings of my 21 year old self when I am 88. First and foremost the Queen knows that she must do what is best for her subjects. I feel confident that this side of the house has shown that retirement is not only better for Queen Elizabeth, but will also be better for England. Once again I thank my opponent for the debate - I hope it is not his last on this site. And I thank the judges for their considered time. "Not too old to show YOU how to skydive Mr Bond!" I apologize for the brevity of my response. I barely check edeb8 as it is, so I didn't know my time had elapsed so quickly. What this debate comes down to is whether the Queen is fit to rule. Pro has noted that the Queen had to cancel 2 events in 6 months due to ill-health. This does not show a pattern or trend of declining health as Pro incorrectly claims. I could just as easily get sick with the flu and miss two classes in the same month, but that doesn't mean my overall health is in decline. In other words, these incidents are not enough to warrant Pro's broader assertion, esp. in light of the evidence I gave earlier that showed the Queen has remarkable fortitude and an excellent health record--only utilizing the hospital once in 10 years. Pro also doesn't answer my impeachment of one of his sources as ill-placed to make comments on the Queen's health condition. Pro then suggests that older people tend to be more infirm. Ageism aside, this doesn't mean the Queen is unfit to rule or unable to rule with a firm hand. Just because old people aren't, as a rule, as able-bodied as younger people does not mean that the Queen is somehow unfit to carry out her duties. There are many old people out their who stand in stark contrast to the notion that older people can't survive in the workplace, and Pro's evidence is not specific to the Queen, but rather applicable only to a broad class of persons that has exceptions within it. Unless Pro can prove (and he hasn't) that the Queen isn't one of those exceptions, his evidence doesn't have much of an impact. Therefore, we have no substantive reason to believe the Queen's health is in such a bad way that she should resign against her wishes. But, even if the Queen were enfeebled in some meaningful way, she can devolve powers to her subordinates which has the twofold benefit of allowing her to remain in power (her popularity shores up the institution) and it gives her possible successors needed training and experience. Pro also claimed I failed to rebut his points--in fact, that's untrue, as I hit upon every major theme he brought up. Particularly, let me touch on the inheritance question. I said last round, "It makes sense that the Queen not resign until Charles has been more firmly entrenched and his reputation has been rehabilitated to make him more preferable to the British people." I do not see a response to this from Pro in Pro's last speech. What I am saying here is that Charles's popularity needs to be bolstered before he inherits. If the Queen resigned tomorrow, the institution of the monarchy, which Pro agrees is important, would be weakened by the new King's low approval ratings and a sense that William would've been a better choice. By taking time to gradually devolve powers and to get the public more used to the notion of Charles's succession, his ascent can be made more smoothly. The evidence I gave round 1 showed that the experts within the monarchy believe this strategy to be the best--and surely they're better positioned to know this than myself or my opponent. So, not only is there no reason for the Queen to resign (this should be enough to vote down Pro), but there is a reason she should stay. Thus, I ask for your vote. Thank you and thanks to Pro. @9space - Considering I put about 40 minutes of total effort into this debate, it's not surprising that I'm losing, lol. Though I disagree that I lost the debate, I would say that this was a poor performance on my point, and I have no significant objections to NZ winning. incredible. Bsh1 is losing. Looks like nz is truly a worthy opponent/debater. I think the point there is that as a judge its not your role to make a case. You can only judge on the cases presented by the debaters. I rated your vote as good. I also didn't feel like you'd read the argument fully, but based on your comments I guessed that it might have been my style that contributed to that. As a result I felt like maybe I shared a portion of the blame for your misreading of my points. It did look to me that you'd at least attempted to read each round, and although your comments seemed a little overly aggressive, I didn't think it was fair for me to label them as being biased. Ironically, had you worded your judgement a little differently, I would been more confident that my assessment was correct and would have probably given you a constructive rating. But as a judge you're not supposed to insert yourself into the debate or attack anyone's case. If that's really your logic then I'm afraid that would probably put my view of your vote down to a vote bomb. bsh1 specifically cast ageism aside as an argument and definitely didn't make it a key point of his case. This is far from the narrative your vote tells. I'm going to come out. I thought it was biased, and don't appreciate being called an idiot. I felt like it wasn't fair to discount arguments because of how judges reacted. I felt like there were some points you raised that bsh1 didn't. I felt like you were marking nzlockie on his style more than his substance (for example, automatically dismissing an argument as prejudice). I felt like your analysis of the debate didn't cover the scope of the arguments of either bsh1 or nzlockie. Based on this I saw nothing that made it clear your vote was carefully thought through. I could probably have written that vote with a brief 30-second skim-reading of the debate. I didn't feel it went as far as a vote bomb because I saw marginally more analysis than opinion in your vote. As such. 2) be constructive - if nzlockie was weak, explain why (not just put down his arguments) and explain what would be a better case to run instead. Csareo, someone rated two of my votes as vote bombs, so I'm pretty sure it's trolling of the rating system. I'll get a vote up on this as soon as I'm able to give it a solid read through. I liked your layout and reasoning csareo. Also, i don't think it's an offense to be called female! If my judging seemed biased, I would like to know why. IMO I was trying to be fair to both debaters, but in this case, NZlockie won by a landslide. Him winning had no relation to my views on either debater, so if it looked like "NZlockie did this good" and "Bsh1 did this not so good", know, that wasn't my intention. In all fairness bsh1, this is the internet, and you're one of millions who get called by their wrong gender. There is some psychology behind it, where convincing evidence is supported by your name and picture. Honest mistake, I'll correct all the wrong gender articles. Who rated my vote bias? Jif, why do you continue to refer to me as a female. Do you even understand how offensive that is? All good bro, I just noticed this debate gives almost a month to vote! There is an art in making people interested in what you have to say. I was hoping to do the same for my debate. There are millions of people out there who want to see the Michigan flag changed, and that passion exists whether or not you're intrested. My job as a speaker, is to convince you to not only care about the topic being presented, but also make you side with me by the time it's over. Says the guy who thinks we'll all care about a debate on the Michigan flag. .. I was simply advising both of you to make your arguments relevant and interesting for non-commonwealth readers. That is, if you find my advice worthy. I hear what you're saying. I didn't choose this debate, Bsh did. And he didn't write the resolution, it was a random topic. Whatever the case, I get turned on to debates about reform and change. I think other, non-commonwealth residents will feel isolated from this debate. The real challenge is forming a connection and making people living outside of the commonwealth care about what's being said. I can't see how those arguments would make it in here either sorry. Like I said, it's hard for people who have never experienced it. I would say though, that although England is a long way away from NZ, I've never really gotten the same sense from the royals. They're very good at their job. I'm more interested in arguments stating practical reasons why a monarchy is needed at all. I am presuming those are out of the question for this debate. Haha, in my experience, I doubt it. To me the main thing I like about a monarchy is the emotional connection it brings. I have found it is impossible to communicate that feeling to people who have never experienced it. I thought the pro side would be confined to an "abolish the monarchy" position, but I see that I'm wrong. As an avid anti-monarchist, I'm hoping NZlockie can convince me of a better alternative??? I don't know, I'll be impressed if he can. Someone should notify bsh1 on DDO to not forget the deadline. I'd be intimidated by that prediction... If it weren't for the fact that you've been wrong literally every single debate of mine that you've made it on! I now see it as kind of a good luck charm. While nz had nicer formatting and more laid out arguments, the fundamentals of it were torn apart by bsh's case. Nz would keep insisting that because Charles could benefit from a predecessor,he was automatically needed more than the Queen herself was, to the UK. Bsh successfully retorted this with medical records and is/ought fallacy and frankly i find the whole can-should jump using p1-p8 just a joke in all honesty. Ageism is technically as flawed as racism and therefore it's just prejudice to make such a case. The matter of fact is that the Queen is not in poor health for her age and is a fully capable person in Throne. this is proven by how little she's been to hospital and the sheer lack of any examples of the age getting in the way of her duty as the head monarch. bsh1 had greater understanding of the raw logic at hand but should work on their formatting and layout skills. While I appreciate the efforts of nzlockie to be both entertaining and over-the-top courteous, this doesn't win you a debate on its own. There are many ways to tell if you are winning the debate. The first is if you are having to resort to funny images and snappy one liners in order to outwit the opponent. The second is if you are getting your friends to class any vote against you as vote-bombed and biased. The third is if your entire debate is based on that Queen Elizabeth II would make a great mentor to her successor without still being a good Queen herself base don nothing more than pure ageism. This was a good debate, and I felt like there was some draw-back near the end from Bsh1, but this honestly came close. The fact that Cx wasn't used to its full advantage is disappointing, and brings up some important questions that I feel need to be discussed more on this site. The most convincing part of NZlockie's opening argument, was that he pushed the "health" and "well being" point very well. While this and the "because she can" argument alone convey that the queen should abdicate for her "own" well being, it didn't at first prove that the queen should abdicate for England's well being. I feel the lack of arguments concerning what's good for England were a lot lighter than the more strong arguments about why it is good for the queen. Where NZlockie was caught off guard in Bsh's intro. NZlockies third argument, that England needs a firm hand, was well placed, considering that proving the queen should abdicate for her own well being, isn't enough in my honest opinion to fill the burden of proof. The argument for "Charles being a firm leader" and the actual content under the title differed greatly, but the fact that the title and the content didn't match didn't actually negate what was said. Quoting Queen Elizabeth was a smart move, because it established firmly that the queen couldn't run her realm alone. While this opened Bsh1 up to a counter argument concerning governor generals, it sadly was not taken, therefore NZlockie had an advantage with this argument. One I don't feel was adequately refuted by bsh1. Again, the point wasn't stressed enough to make a lasting impact on the debate. Although the argument on Scotland's unrest was somewhat convincing, if only NZlockie put more emphasis on how Charles would of been any different. The fact that this point was mostly ignored is what made the whole argument vulnerable to heavy refutation. The Fourth Opening argument by NZlockie was by far his strongest argument, but for reasons I will get to later, it was met with HEAVY attacks. There's not a lot to say, the "Charles" having the advantage of a living predecessor was to good an argument to pass up, and at that point I was concerned about how bsh1 would counter such a powerful argument. - Charles will have more legitimacy to the throne if he is given to it as crown prince rather than through the death of Queen Elizabeth. Bsh1, as expected, gave a strong opening, but something that really killed her was the following introductory quote "What this question really calls upon us to consider is whether there is a good reason for the Queen to step down--if there isn't, then she should not abdicate". This is pretty much legitimizing NZlockies case upon proving there is one good reason the queen should abdicate. It wasn't the "Good reason", as much as it was the "one good reason", and at that point, NZlockie had provided several good reasons. I felt there was a lot of focus on how the queen was doing a great job, and the palace delegations was really getting off track. Bsh1 focused on "why the queen is doing good", and not how "prince charles wouldn't be as good as the queen". Yet, a lot of the points were legitimate and strong. The major problem I had with the opening arguments, and partially what bsh1 lost the debate, was this statement... "This strategy has the advantage of allowing the Queen to not be overworked, but it allows future heirs to garner needed experience and prevents any discord of actually effecting a succession"
Okay, you issued a counter proposal, shifting part of the BOP over to you. At this point, the best that can be hoped for is nullifying NZlockie's case, and giving you half of the BOP. The final argument on Prince Williams being a more popular monarch than Prince Charles originally had me convinced that everything NZlockie had said had been negated, but I studied the resolution carefully, it is clear that proving Prince Williams is more popular than Prince Charles does nothing to actually counter the reasoning of the queens resignation. There was no effort in the CX, and in traditional debating, effort and speaking skills displayed in Cross examination are point worthy, so why shouldn't they be in online debating. Leaving your opponent hanging in cross examination should be factored into how I vote, and makes you lose valuable time to ask and affirm questions. NZlockie this round spent more focus explaining how the queens bad health is bad for England, and that solidified that argument for the most part, which wasn't contested by bsh1. Arguments about health affecting the role of office were largely ignored in the next round. A solid refutation in the next argument, actually turning bsh1's irrelevant argument about delegation against him, which was stunning. The transfer of power that NZlockie explained was happening, is a clear indication that the queen's age is affecting her role of office. Although the case was already affirmed, this bonus argument made it harder to negate. Turning your opponents case against them is a solid way to win a debate. - Bsh1 again didn't participate in cross examination. - NZlockie solidified his case again, and there wasn't any strong arguments to negate what he had on the table. I'm trying a new judging format from the IPA, so please give me some feedback. I'll just give my feedback based on my point tally. Presentation- - NZlockie had a superior presentation. He used an expanded vocab, good transistion words, ect. Overall he did a good job, and that's why I gave him this point. I felt like bsh1 had good presentation as well, but the transition between points was bad. It felt like "refute this", "argument that". Opening Statements- - Pro was superior in this regard, partially because he appealed to emotion more (with logic), and made more arguments of my own. The opening for con was for the most part, just "refutation", and there wasn't any passion in the arguments. When you're passionate about what you're saying, chances are the reader will become passionate about what you're saying. Use of facts and examples - More is always better. Bsh1 had more facts, more examples, and more evidence. This is what makes or breaks a debate. It was hard to refute the Williams data, and some of the sources brought up. This makes the case all the better. Substance - NZlockie had more, and better arguments. Always try to keep your content both strong and in high levels. The more arguments you have, and the better they hold up, the more likely you are to get this point. Bsh1 tried to much refutation, and not enough arguments of his own. While refutation can be counted as substance, it needs to be strong to begin with. Strength of Rebuttals - I considered giving this to Bsh1, but NZlockie on two occasions reversed refuation from bsh1. Always try to keep your rebuttals infallible and strong. The reason why you lost this point, is because you didn't have confidence in your rebuttals, and there were many flaws in the logic within them. Even one strong rebuttal can negate a case, over several small rebuttals which fall flat. Conduct - It is disrespectful to not participate in cross examination, but you're also losing out on a great opportunity to punch holes into the oppositions case, and create new arguments from the questions you begin to ask. Cx is a good round to experiment, so do exactly that. Closing- Always try to match the length and content of your opponent. When your closing is 1/3rd the size of your opponent's, you have reason to be concerned. Ultimately I think Pro was correct in their assessment of Con's sources actually supporting Pro's arguments. Pro argued that the Queen's age and health were resulting in her reduced ability to perform her functions, which Con supported by showing that, because of her age and health, she has had to delegate the responsibility of her functions! Furthermore, I think Con undermined his own arguments by stating that the Queen is merely a ceremonial position. I understand that he was trying to argue that the responsibility of the Queen is not as important as Pro indicated, but it contradicted his earlier sources and statements that touted the importance of the Queen. While I agree with Con's reference to the is/ought fallacy, a better reading of Pro's arguments indicates that the "can = "should" was merely poor labeling (on Pro's part) of that section of his argument.Pro did, in fact, provide reasons above and beyond "she can" in that section. Lastly, I found Con's refutation of Pro's point (regarding the benefit of Charles having a living predecessor) to be lacking. I think Pro's weakest area was the "Should because she can!" point as it naturally led to the refutation via the is/ought fallacy. The points raised here could have been subsumed into other parts of his points and overall I think it diluted the effectiveness of those parts. I think Con's greatest issue was shifting his arguments which ultimately resulted in implied contradictions between his rounds. While I understand that sometimes you need to switch tactics, I think the way Con did so lead to Pro capitalizing on those inconsistencies to his advantage. I'm sad to see that the Cross-Examination didn't pan out. It would have been nice to see that element used more fully. Nz heavily stresses the fact that the Queen can in fact resign. Then he moves on to his points about how her successors are better. He points out much more errors the queen of England has commited than Bsh1 has shown benefits. Especially in the support for the Queen's retirement, and the Queen's old age. (He even turned the point of Bsh1's point concerning delegation against himself!) There also remains those points concerning how Charles would gain more respect through being crowned rather than the forceful-passing on through death, and the guidance from the experienced Queen. Those points felt really strong. It feels like Bsh1 was too rushed, and his side was doomed from the start. Good try, my good sir. You shall always be respected for you efforts. Bsh1, try doing your rounds earlier. Also, I felt like CX rounds were kind of pointless...so they could've been more useful. I'm going to go about this round by round, addressing each side's arguments and explaining how I perceive them. These contentions don't come off as strongly as they could. The first one simply describes why the Queen has reason to resign. This makes some sense, but while you can FIAT the result (her abdication), you can't really FIAT her attitude here. You're providing reasons why she might be happy with it from an external perspective, but it's really for her own sake. I can see why this might be a general good for her and provide some reasoning as to why she's stepping down, but as it only has impact on herself, it's really a weak impact. The second contention is basically just pre-rebuttal, an attempt to deflect any reasoning from Con that she couldn't step down based on precedent. There's no benefit here, just the negation of harm. The third contention is probably where your strongest points should lie, and that's why I'm surprised at just how limited the points are in explanation. You state that she's losing her senses, but provide no examples of where she's made poor decisions. You state that a younger person could have quelled the unrest that led to the Scotland vote, but a) as the Scotland vote went in England's favor, there's little harm, b) as the harms of the vote going sour aren't clear, and c) as your explanation of how a younger person might have done better is incomplete, unwarranted and lacking in support, it's not nearly as strong as it could be. Even the digital point gets under-covered, especially regarding which challenges require this attention. The fourth contention is really where your case shines. The argument that Elizabeth would send an important message by handing over the reigns directly, and that she would act as a sort of adviser to him, are well-taken. The latter could certainly have been better explained, and the impact of both of these required more elucidation, but it still stands powerfully. Starting off by effectively seeking to garner the benefits of Pro's fourth contention, and to remove the link to parts of the first and third, Con makes a solid effort to tackle Pro's case. We'll see how that holds up. He also establishes the level of support for the Queen, making a clear case for her continued presence, though he should have established some level of harm that results from reduced the reduced support her successor would receive. Con then focuses on the harms of Charles taking the reigns too early, specifically with regards to Republicans in the UK, which would undermine the monarchy. This warrants more explanation as to its impact, but as both sides agree that the monarchy is something to be prized, its impacts are at least implicitly obvious. These are at least somewhat validated by the preference for William over Charles. Lastly, Con discusses the importance of the Queen holding to her commitments, though this is little explained, as Con never discusses an impact beyond saving face, which is, at best, superficial. The format for his case starts changing here as he groups arguments and focuses on turning Con's case. Pro repeats much of his Contention 1 with a little more focus on the impacts, though this still remains limited to effects on the Queen herself. It's the link to Contention 3 that makes this more powerful, namely that weakness translates to reduced relevance. In a world that seeks constant motion on the part of its leadership, many British citizens may find fault with a leader whose health is failing, presenting as weakened. I think more work could have been done here to explain why age and physical weakness translate to weak leadership (FDR had Polio and still managed to act in a strong capacity), but the point is reasonably well made. However, Pro should take care here. If I buy the argument that she will be very likely to die in office at the rate she's going, then the firm hand argument is lost, since Prince Charles would take over shortly. Contentions 1 and 4 become more potent, but you completely lose 3. Just something to bear in mind. As for the first case turn, I think it's well executed. I buy that the Queen looks weaker when she's actively delegating tasks to her princes, as it appears that she's deferring her duties now. Resigning would recognize that shift in responsibility and simply put the person doing the work at the helm. I think this could use more support in terms of how the views of her subjects have changed over this period of transition, but it makes sense. The second extension starts off a little confusingly. Pro tells us that Prince Charles is already qualified with the “experience and wisdom” to lead. This, at the very least, seems to weaken Pro's Contention 4, as it seems to me that the benefits of having the Queen around for several more years are small when confronted with the reality that he's already in good shape. So Pro's impact turns to focus on the importance of public support for the new king. I appreciate the explanation here, but it still doesn't feel complete. Pro never gives us any examples of a monarch doing something like this and it resulting in good outcomes for their successors. You gave examples of people who had abdicated early, look to them – how are their successors doing? I recognize that there is a distinct capacity for benefit, but does a direct endorsement on death really have enough of an impact on public opinion to sway it in a new direction? So while I buy that there would be some shift, I don't see enough evidence that the shift would have such a marked impact. The remainder is mainly a restatement of Pro's Contention 2 and some push back on Con's statement that she made a promise to stay until she is physically incapable of performing the role, which I wasn't buying much anyway. Point well-taken. The arguments here start by turning towards mitigation. Con tells me that a firm hand is unnecessary, though I still buy that the crown has some power at home and abroad, even if it is more ceremonial. Con also points out that she's acting solely as a head on moral conduct, which I can see partially, but it still fails to address some of the meat of Pro's contention. Con tells me that she's not in physical decline because there's no history of illness, which does substantially mitigate Pro's argument that she could basically die at any moment, though I still buy that age weakens her and makes her more susceptible. The main response to Pro's first turn is to focus the argument on mitigation. If she's able to delegate powers while she's alive, why not do that instead of resigning? The problem with this reframing is that this argument now only seems to take out Pro's Contention 1. The remainder of it certainly mitigates Contention 3, but it doesn't erase it. Even if this just shows responsibility on her part, I can still see Pro's argument that it could be perceived as showing signs of weakness. Con is right on the is/ought fallacy, though I don't think Pro was ever making that argument. Even so, I was never buying that Contention 2 stood as a reason to abdicate, so I leave it as mitigation of a point never made. Lastly, Con makes a strong assertion that Charles needs more time to be firmly entrenched. However, I get no reasoning as to why the previous years have been insufficient, and why adding on several more would substantially change his public persona. Hence, while I see some possible benefit from delay, it seems weaker than it should be. On the health issue, Pro shows that this is a growing problem, and that while it may not involve hospital visits, it still shows a decline. However, it's the context that Pro provides this round that makes this argument important, as this is the first time Pro has presented a marked shift in behavior on the part of the Queen that substantially modifies public perception of her, especially given her history with Ireland. The fact that the elderly are more prone to illness is well-taken, but relatively weak by comparison. I'm still not seeing much impact to her death in this point in particular, as it's really a question of weakness and passing on the throne while alive that seem to have taken center stage in this debate. We then get some rather spirited clash on what the Queen means to society. Pro obviously feels quite strongly that there's an important sense of unity created by the Queen between her subjects is a potent one, though he never explains why this unity is important. He starts explaining this by saying that the British monarchy has a long history, and that there's the potential for discontent should she die (a point that really should have gotten more discussion by Pro), but never really gets to the impact. He does point to her political importance, which is well-taken, but for some reason is pushed off almost as an afterthought. It still factors, but this should be up front. And we're back to the is/ought. I still don't see the link between CAN and SHOULD, to be honest. Pro gives reasoning for one separate from the other – the money issue, for example, isn't a reason why she should retire, it's a reason why she can, whereas the hard work of her job is a reason why she should retire, not why she can. I buy that the Queen has vested interest in retiring, but these are all personal preference issues, and difficult to weigh within the debate. This whole point seems subjectively important, and within the context of the debate, rather weak. Her physical weakness and probable death have more impact than her personal happiness and that of her family. Interesting take on Con's argument requiring that the Queen “work herself to death” over something she said when she was 21, though that might be taking his argument a little far. It's also probably coming out a tad late, since Con made that argument in R1. The response on health really ignores much of Pro's analysis from the previous round, where he said that just getting sick is normally not enough to cause the Queen to miss an event, and that these are signs of a genuine decline as a result. I get where Con is going with this, but he needs to provide a direct response to Pro's analysis in order to win this point. I think Con effectively mitigates this problem by showing that these didn't require hospital visits and that one of the sources Pro used isn't very strong, but that only reduces the likelihood by a small amount, not as substantially as he needed to win this. Con's response to the elderly issue is similarly not enough, as Pro hasn't argued that she's unfit to carry out her duties, but rather that she puts herself at risk by doing them. Pro has also argued that just doing the duties isn't enough – she has to look resolute and powerful in the role. Con fails to address that in the final round. I buy that there's an ageist quality to Pro's arguments, but Con doesn't make that a voting issue, as it lacks any impact. He does point out that Pro never fully proves that she's in medical danger as a result of her age, but again, this is solely mitigation, and fails to dismiss the point. I think where Con could have taken a substantial positive argument is on this point about popularity and what it means for the institution. Only Con's case has a certainty of high popularity, whereas Pro is throwing that into flux and uncertainty. However, Con never really makes a solid argument for why that popularity is important. Pro gives me a much more solid case for why public perception of strength is important, and so that seems to outweigh. Spreading out power seems to at least somewhat reduce that perception, so the link is there even in the event that the Queen manages to keep herself healthy by reducing her workload. The training and experience of Prince Charles don't have a solid link to better outcomes, so I can't do much with that. If it's going to increase his popularity, I need to know a) why that's a big deal, and b) why it hasn't happened yet. I don't know the answers to those questions. I buy that there's some possible benefit to his ratings with the general public, but the link is weak, and the impact difficult to assess. Beyond that, Pro left the date of the resignation vague, so the idea that she's resigning tomorrow if I vote Pro doesn't link well to the case either. Building up reputation might be necessary before she finds it convenient to resign. Personally, I would have found fault with that within the debate, but as Con didn't express any concerns, I'm forced to accept it as is. It was a good debate, guys, but it appears to me that Pro put down enough argumentation to satisfy his burdens, and Con simply didn't assault them all as well as he should have. That might be the result of the time issues that he encountered, as much of his initial case actually seemed to be paving the way for future explanation that simply never came. Con's rebuttals just seemed to miss much of the key issues, and while Pro's case built in steam as the debate continued, Con's continued to function under limited analysis with little offense and mostly mitigation being utilized. Pro gives me sufficient reasoning to believe that the Queen should resign at her earliest convenience, ergo that's where I vote. I think your case had a lot of merit, but far too often (as you can see in my RFD), I'm asking "why?" Specifically, I'm asking why things will happen the way you say, and why impacts are important. Those things should be very clear, and perhaps they are to you, but they stand out as easy points of attack and, if bsh1 had used them, turns. I think you had the right points, they just really needed the extra support to make them potent. I can tell that there were some factors of time that played into this, needless to say it wasn't your best performance. I keep the page up and refresh every day or so to make sure I haven't missed anything. I don't think I need to say much here except that you fell into many of the same traps of assumption of impact here, and that your case really lacked the necessary links and warrants to challenge nzlockie's. Just bear that in mind. Love the analysis more than the feedback. I voted exceptional because I feel it's important to promote good feedback rather than set mediocre standards.